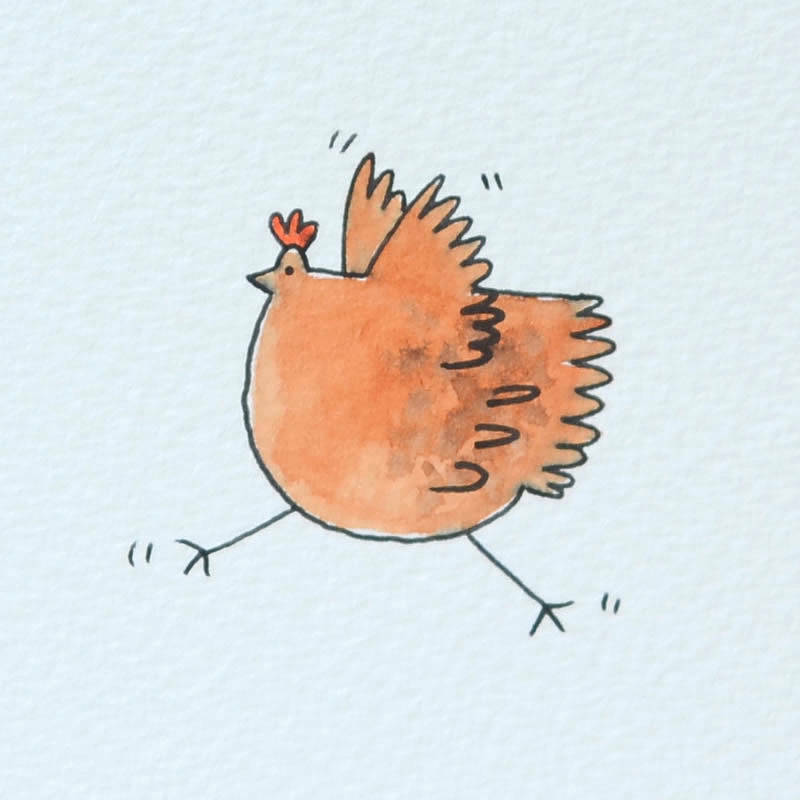 A delightful, hand illustrated 'Dancing Chicken' card, perfect for chicken lovers everywhere! 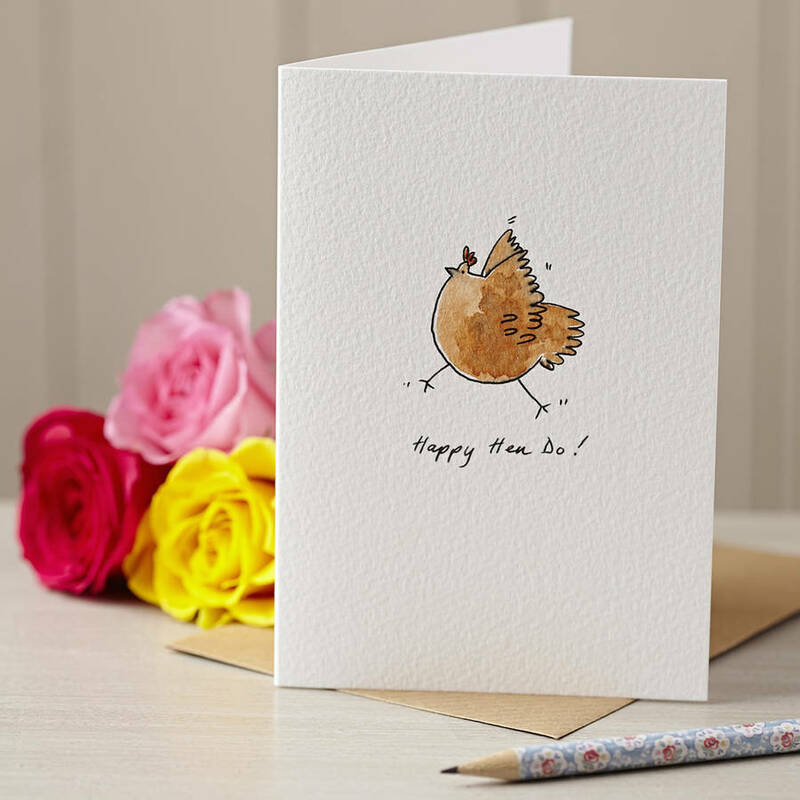 The perfect personalised card for for any occasion - from birthdays to thank yous. In a hurry? Tell me your message for inside the card and I can post it direct to the recipient - all handwritten of course. 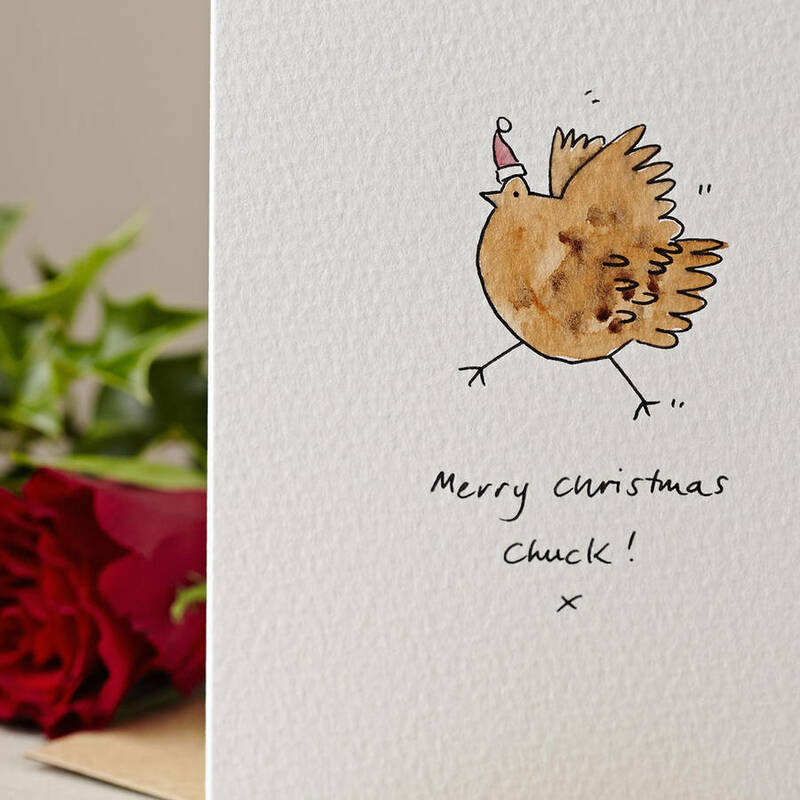 Just make sure you amend the delivery address when you checkout, and clearly specify your message in the box. 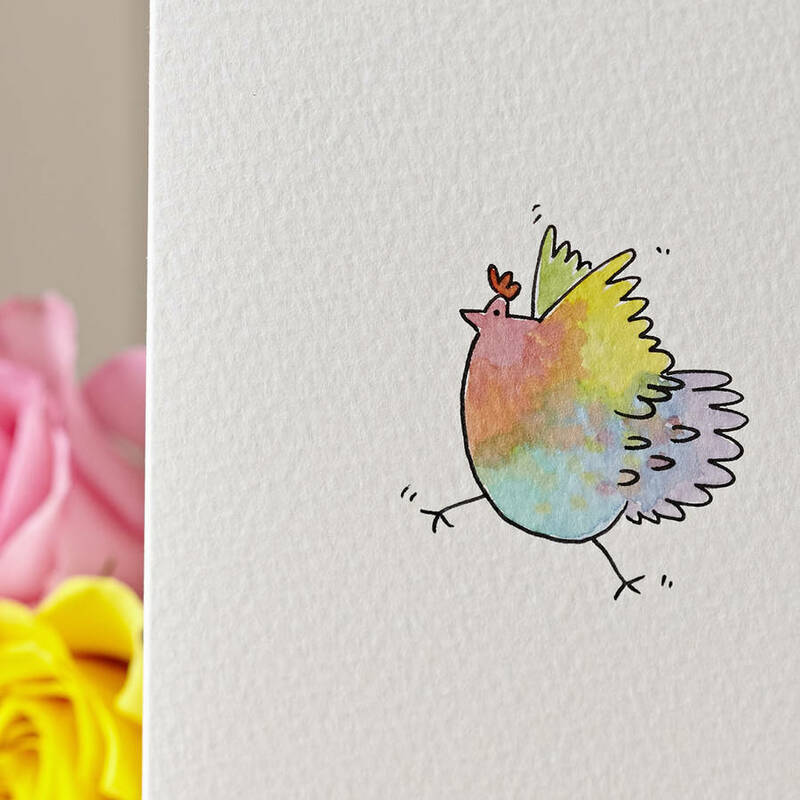 This design is available as a brown or multicoloured hen. If you have any other colour preferences please let me know in the ‘any other instructions’ box. 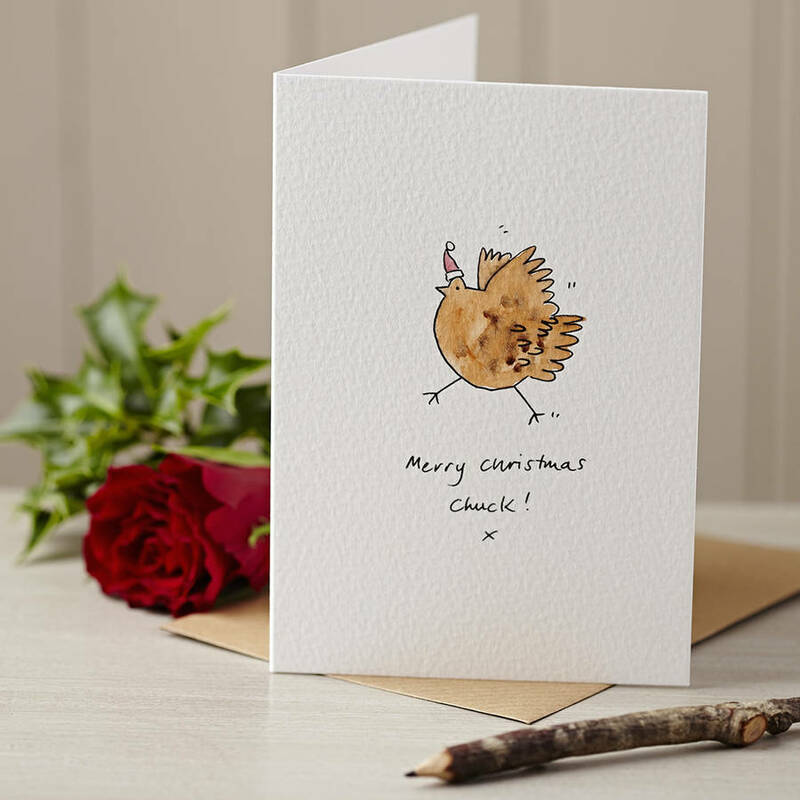 Choose any personalised message you'd like for the front of the card, or leave blank for just the design. Blank inside, unless a message is requested. 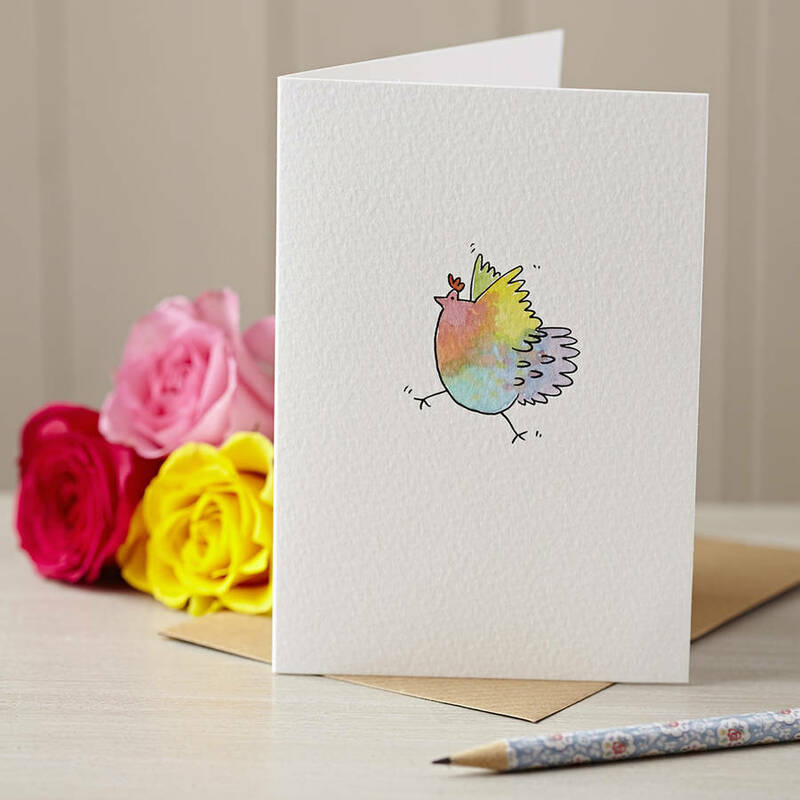 The design is individually hand drawn and painted onto quality watercolour card – a truly unique and extra special keepsake. 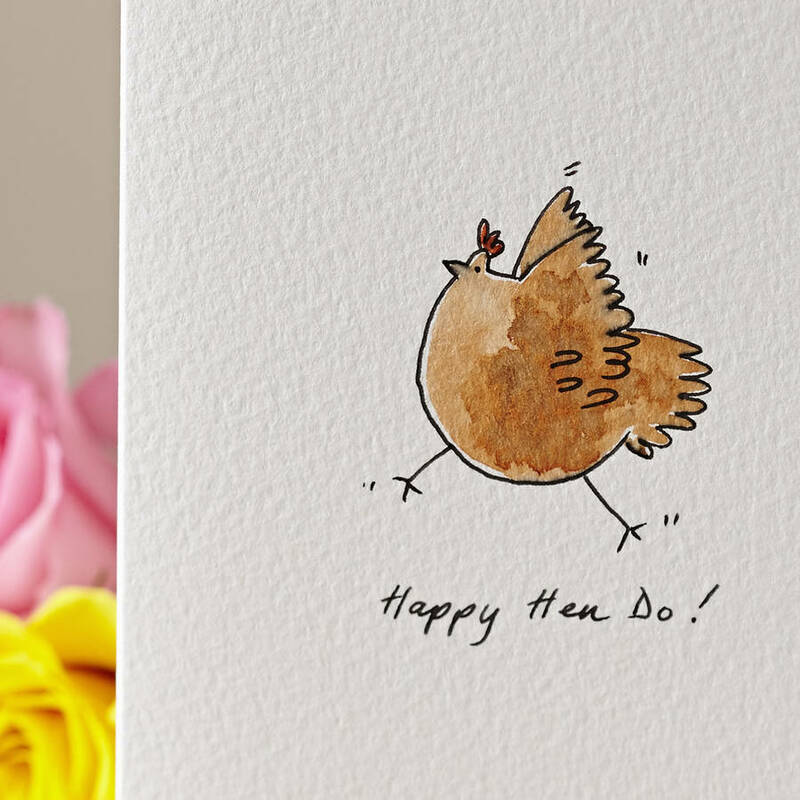 This product is dispatched to you by Hannah Shelbourne Designs.